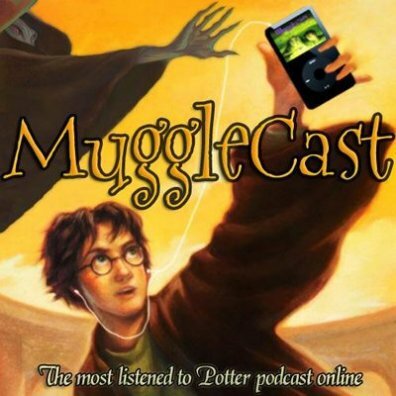 For a number of years now I have been an avid listener of the popular Harry Potter podcast for Mugglenet.com, Mugglecast. An incredibly informative and entertaining listen, Mugglecast is something all Harry Potter fans should have a listen to at least once. With humble beginnings back in 2005, Mugglecast (or MC as it's affectionately referred to by fans) has been running for almost seven years and is still going strong, despite the books and movies both being complete. If you have ever wanted to know absolutely everything that is going on in the world to do with Harry Potter, this is the place to find out. With recent news discussions as well as a brilliant 'chapter-by-chapter' discussion that continues through all the books, episode by episode, 'MC' provides an entertaining and humorous hour and a half (round about) show every month. If you go to their website you are able to download and listen to old episodes which are still extremely fun to listen to as every theory surrounding the Harry Potter series is discussed at length. Now a (mostly) once a month show, Mugglecast continues to report on things such as Pottermore , J.K Rowling's latest works, and new DVD releases, as well as many discussions regarding the books that continue to make listeners think more and more about the series they love and to look at them in different ways. Overall, it's something every Harry Potter fan should try at least once, though once, I think, is enough to have someone addicted and listening to episodes for hours on end.